There are two things we really love in life – swimming and our music. However, getting the two together doesn’t really end well, especially once you take your phone into the pool and realize that mobile phones aren’t waterproof and that headphones will just tangle around your flailing limbs! Not ideal. Thankfully, techno-wizards have thought about the struggles swimmers face in the pool and have made some pretty cool mp4 players, so you can listen to music while you swim. When the iPod Shuffle was first released back in 2005, we all dismissed it as the ugly step-sister of the iPod Nano (even though we still used it). However, the small design and compact station is perfect for those looking for a small-scale underwater mp3/4 player. And now, Apple has designed a waterproof iPod shuffle, meaning you can use the handy clip and attach it to your goggles. With hours of battery life, you can listen to 2GB worth of music as you do your lengths. What could be better? The Exeze WMR is one of the cheapest mp4 players on the market, and also one of the most comfortable! The 8GB device is small and compact enough to slip onto the strap of your swimming goggles, so you don’t have to worry about it during your swim. 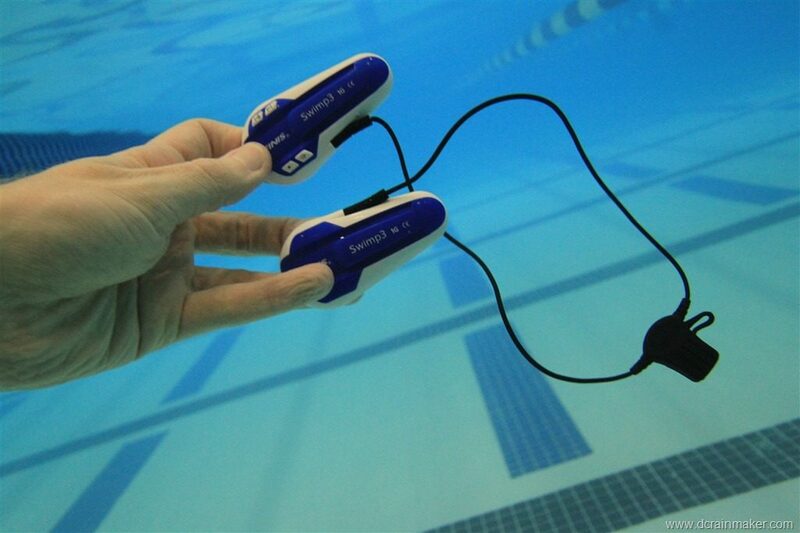 The mp4 player offers 6 hours of battery life – if you can last that long in the water (we envy you if you can). The earbuds are super comfortable and have been specially designed to stay put in your ears as you move about, meaning you can continue to listen to your favorite songs as you go for a swim. The FX-Sport (we’re going to shorten it because that name is one heck of a mouthful) is a nifty combination of mp3 player and headphones. This outer-ear contraption attaches to the ear, rather than entering the ear canal and plays your music. The headphones themselves are the music player, meaning you can control your tunes by pressing the buttons on the exterior. They’re completely waterproof, so you don’t need to worry about being submerged in the pool. The Exeze Rider is another mp4 player which is super cheap – in fact, most of the Exeze range is low-cost and perfect for the budget swimmer and music listener. Despite its cheap price, it doesn’t scrimp on sound quality, which is exactly what we want from a device. This mp4 player offers 12 hours of battery life, so you will rarely need to charge it (which is great, because we normally forget) and attaches to the strap of your goggles, so you won’t even know it is there. 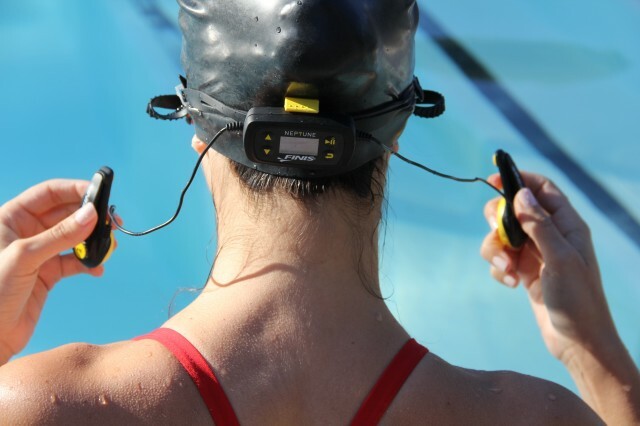 The FINIS Neptune mp4 player is one of the most original players on the market, using brand new technology and science to bring music into the pool or sea. Instead of attaching to your ears, these headphones use bone conduction and attach to your cheek bones. The Neptune passes audio vibrations through your cheekbones which pass directly into your head, allowing you to hear without directly using your ears! (Don’t worry, it’s all safe and has been tested). This technology allows the wearer to still hear the noises around them, making it a great safety feature.